Are you afraid of fat? After so many years of fat being thought of as ‘bad’, it can be difficult to shake that fear. The truth is that fat is a necessary nutrient that does many important jobs in the human body, from supporting cell health to enabling the absorption of certain vitamins. Monounsaturated fats (one type of fat) have other health-promoting properties. In particular, they have been shown to lower cholesterol levels and actually decrease your risk of heart disease when eaten in moderation. So how can you include more of these healthy fats in your diet? 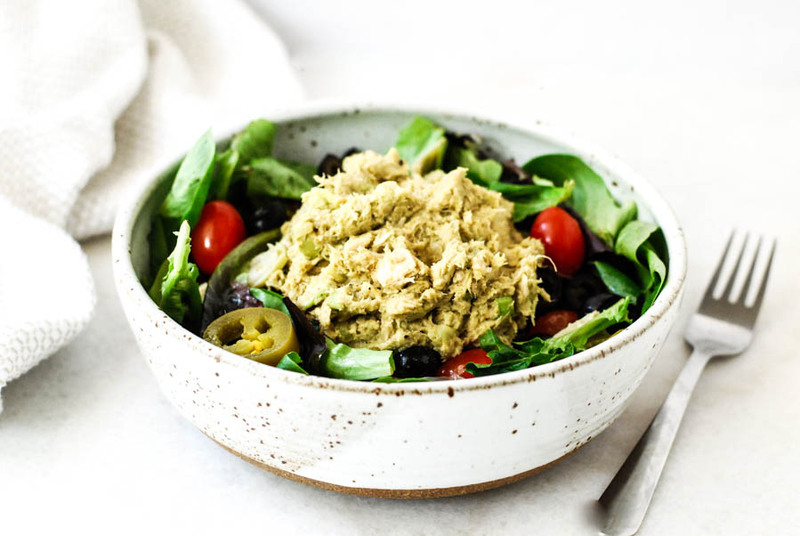 One way is to use avocado in place of mayonnaise, which is exactly what I have done with this recipe for mayo-free avocado tuna salad. Not only are avocados full of monounsaturated fats, they are also packed with fiber, potassium, folate, vitamins E, C and B6. In fact, one-third of a medium avocado contains around 20 vitamins and minerals and 11% of your daily fiber needs in just 80 calories. 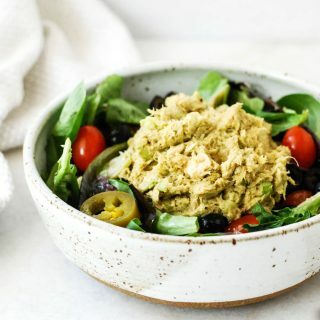 This avocado tuna salad is a wonderful way to use nutrient-dense avocados in place of energy-dense (high-calorie, low nutrient) mayonnaise. What are some of your favorite healthy substitutions? I’d love to hear in the comments. 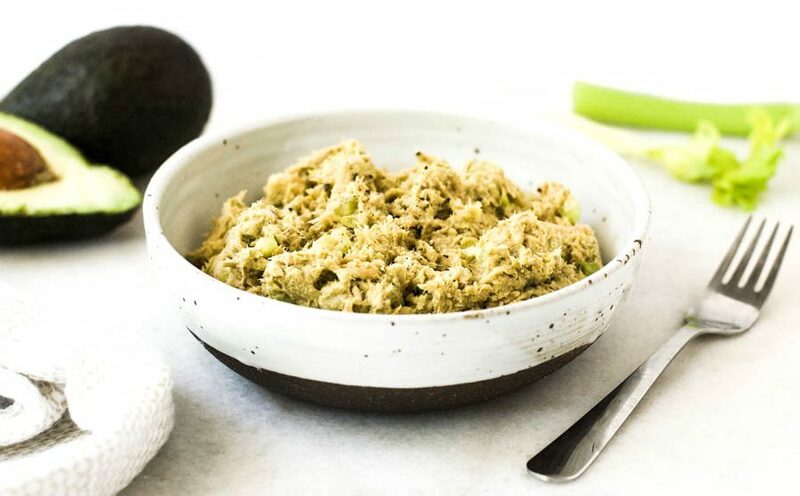 In a medium bowl mash the avocado with a fork. Serve on a green salad or toast, or eat with a spoon.